Current Laboratories: Asimo Lab., Virtualized Reality Lab., Vision Lab., Graphics Lab. My research focuses on computer vision/graphics, especially in the area of 3D shape reconstruction from multiple cameras. I am interested in applying computer vision for graphics applications. 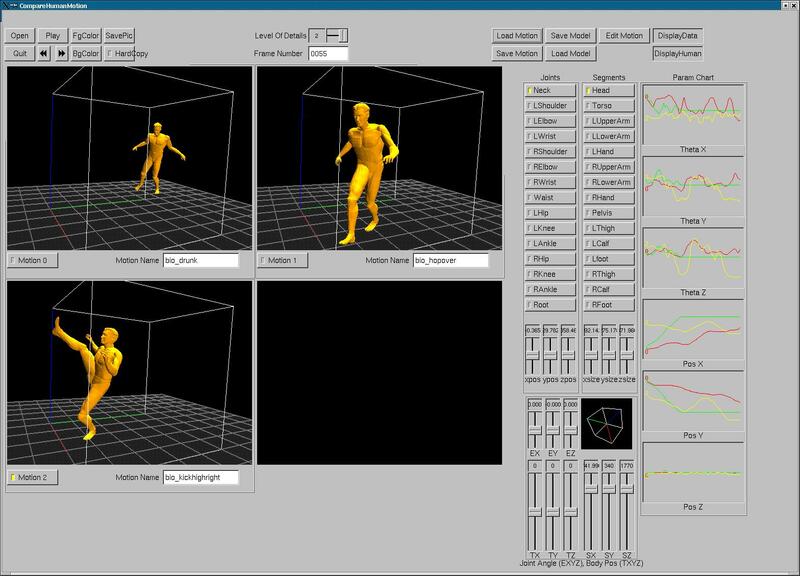 Recently I have extended the shape reconstruction method called Shape-From-Silhouette to across time and applied the theory to the applications of human kinematic modeling, markerless motion capture and motion transfer (please see the project pages below for details). Other areas that interest me include projective geometry, human related problems such as face recognition and behavior understanding, structure from motion, projective geometry, camera calibration, image-based rendering, etc. I am also involved in the CMU Virtualized Reality Project and maintain the associated CMU 3D Room. 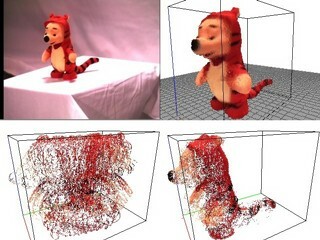 For my research, I wrote a lot of GUIs involving 2D/3D images and objects. The following are two example screenshots of two different examples (click on the picture to magnify) of GUI I wrote using FLTK. German K.M. Cheung, Visual Hull Construction, Alignment and Refinement for Human Kinematic Modeling, Motion Tracking and Rendering, Technical Report CMU-RI-TR-03-44, PhD Thesis, Robotics Institute, Carnegie Mellon University, October 2003. German K.M. Cheung, S. Baker and T. Kanade. 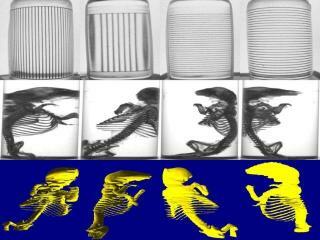 Visual Hull Alignment and Refinement Across Time: A 3D Reconstruction Algorithm Combining Shape-From-Silhouette with Stereo, in Proceedings of IEEE Conference on Computer Vision and Pattern Recognition 2003 (CVPR'03), Vol. 2, pages 375-382, Madison WI, June 2003. German K.M. Cheung, S. Baker and T. Kanade. 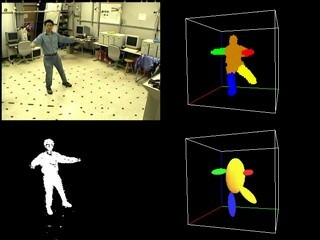 Shape-From-Silhouette of Articulated Objects and its Use for Human Body Kinematics Estimation and Motion Capture, in Proceedings of IEEE Conference on Computer Vision and Pattern Recognition 2003 (CVPR'03), Vol. 1, pages 77-84, Madison WI, June 2003. German K.M. Cheung. Visual Hull Construction, Alignment and Refinement Across Time, Technical Report CMU-RI-TR-02-05, PhD Proposal, Robotics Institute, Carnegie Mellon University, January 2002. K.M. Cheung, T. Kanade, J. Bouguet, and M. Holler. 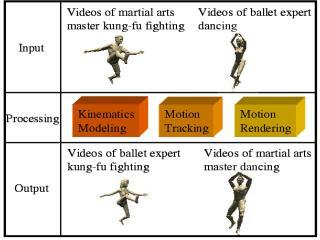 A Real Time System for Robust 3D Voxel Reconstruction of Human Motions, in Proceedings of IEEE Conference on Computer Vision and Pattern Recognition 2000 (CVPR '00), Vol. 2, pages 714-720, Hilton Head Island SC, June 2000. S. Baba, H. Saito, S. Vedula, K.M. Cheung and T.Kanade. 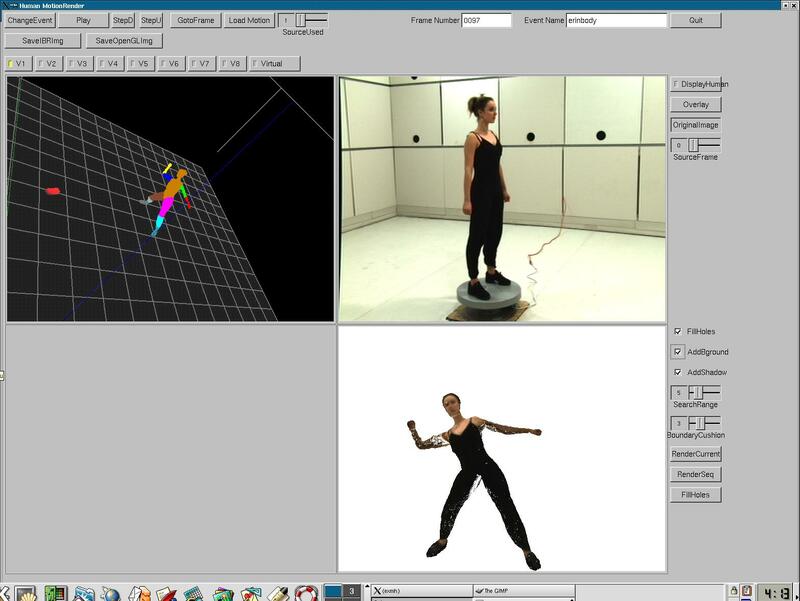 Appearance-Based Virtual-View Generation for Fly Through in a Real Dynamic Scene, in Proceedings of Joint Eurographics IEEE TCVG Symposium on Visualization (VisSym'00), May 2000. K.M. Cheung and S.F. Yau. Statistical Analysis and CRB Study of Modified MUSIC under DOA- Dependent Perturbations, in Proceedings of Fourth International Symposium on Signal Processing and Its Applications, pages 349-352, Gold Coast Australia, August 1996. K.M. Cheung and S.F. Yau. A Compensation Method for Model Deviations in Parametric Estimation by ESPRIT, in Proceedings of International Conference on Neural Network and Signal Processing, vol. II, pages 1079-1082, Nanking China, December 1995. K.M. Cheung and S.F. Yau. Improved ESPRIT for DOA Estimation in the Presence of DOA Dependent and Independent Deviations, in Proceedings of International Conference on Signal and Image Processing, (SIP'95), Las Vegas NV, November 14-17, 1995. K.M. Cheung and S.F. Yau. Blind Deconvolution of System with Unknown Response Excited by Cyclostationary Impulses, in Proceedings of International Conference on Acoustics, Speech and Signal Processing 1995 (ICASSP'95), Detroit MI, May 8-12, 1995. K.M. Cheung. Perturbation Analysis and Compensating Algorithm for Subspace Fitting Array Signal Processing Methods, Master's Thesis, Hong Kong University of Science and Technology, Hong Kong, May 1994. K.M. Cheung and S.F. Yau. A Novel Method in Compensating Random Perturbations in Eigen-based Subspace Methods, in Proceedings of International Symposium on Circuits And Systems 1994 (ISCAS'94), London England, May 31-June 2, 1994.